#10: It’s Podcast Moving Day! It was a short week and it’s going to be a short episode. We do have a big announcement this week though! Beginning next Friday, September 16, 2016, the Future Self Podcast will be permanently relocating to a new home. Initially my goal for this show was to create a resource for clients to find clear and concise answers to their estate planning questions. But, I also wanted to create an equally valuable resource that addressed the very real day-to-day concerns of my average client; a resource where clients could find advice on implementing positive habits and decision-making strategies, and a place for straight-forward tips they could implement in their life immediately to start seeing results. What I didn’t anticipate was the overwhelming response I was going to get from clients and new listeners. The bulk of the questions and feedback I received focused on goal-setting and developing strategies to take control of their lives. As that happened the podcast began to shift from it’s primary focus of estate planning. My primary goal for this website is to provide only the highest quality, relevant content for my estate planning clients. That’s why it makes sense now to move the podcast to it’s own space where it can grow and take on a life of it’s own. 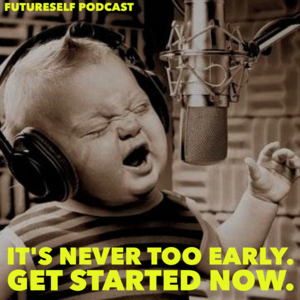 So, next week, and every Friday after, you can find the Future Self Podcast at RobertIngalls.com and FutureSelfPodcast.com, where we’ll be bringing you fresh, actionable content and step-by-step guides to get you from where you are to where you want to be. On next week’s episode we’re going to be discussing acquiring high-value mentors, and I’ll be giving you my step-by-step blueprint for getting and keeping these high-value mentors. So, whether you’re having trouble making the connections you need to take yourself to the next level or you’re just looking to tighten up your game, this is an episode you don’t want to miss. We’re going to hear from one of the rising stars in the billion dollar Esports industry, the co-founder and CEO of the live-streaming service Disco Melee, Coy Pittman. Another phenomenal guest, I’m pumped to talk with globe trotting photographer extraordinaire, photography teacher, and owner of Elly’s Photography, Elizabeth “Elly” Russell. Then I’ll be getting the skinny from my favorite chef and the owner of Yelp’s highest rated food service shop in Charlotte, North Carolina. You may have seen his viral videos during the Panthers playoff run last year, or entertaining Johnny Knoxville in Bad Grandpa. The man that makes the best chili (and chicken salad!) in all the land: Vic “The Chili Man” Werany. I can’t tell you how thrilled I am to get to those interviews, so I’ll keep posted when those episodes are coming up. We’re not going to dive deep into a topic this week, but I promise you value every week, and I’m going to give it to you. 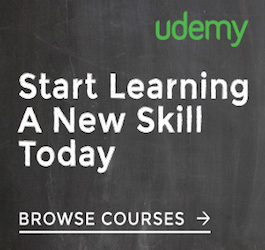 For the next three days you’re going to get access to virtually any course offered on Udemy for just $15. 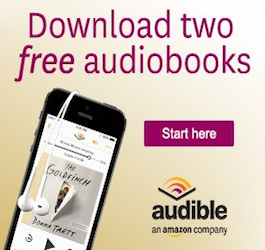 Go check it out, it’s a phenomenal deal. For $15 you’re going to get courses that regularly sell for $50-$100. Follow this link to Udemy and enter the promo code 15B2SCHOOL to get that deal. Move quick, this deal expires Tuesday morning, September 13th at 9am. Time is your most valuable resource, so I want to say a sincere thank you for spending a few minutes with me today. And, because I know how precious your time is, I’m never going to waste it. That’s why I show up here every Friday ready to give you something valuable you can use today. I am sincerely looking forward to this next step in the podcast with you. I also want to extend my appreciation to everyone that shot me a message with the promises you made to yourself last week. Truly inspirational stuff. It brings me a tremendous amount of joy to see you taking charge of your life and making the tough choices to get from where you are to where you want to be. As always, shoot me a message and let me know what you’re up to, what you’re struggling with, or just to celebrate some big wins! If you enjoyed this episode do me a quick favor and head over to the iTunes Store, Google Play, Stitcher Radio, TuneIn, or whatever platform you’re listening on, and leave me an honest review. Those reviews help us move up the ranks and get exposure, which allows us to keep bringing you high-quality content and valuable guest interviews. Thanks again for spending some time with me, and I’ll see you back here next Friday! As promised, links to the content discussed in the episode: Khan Academy, iTunes University, Code Academy, Udemy.